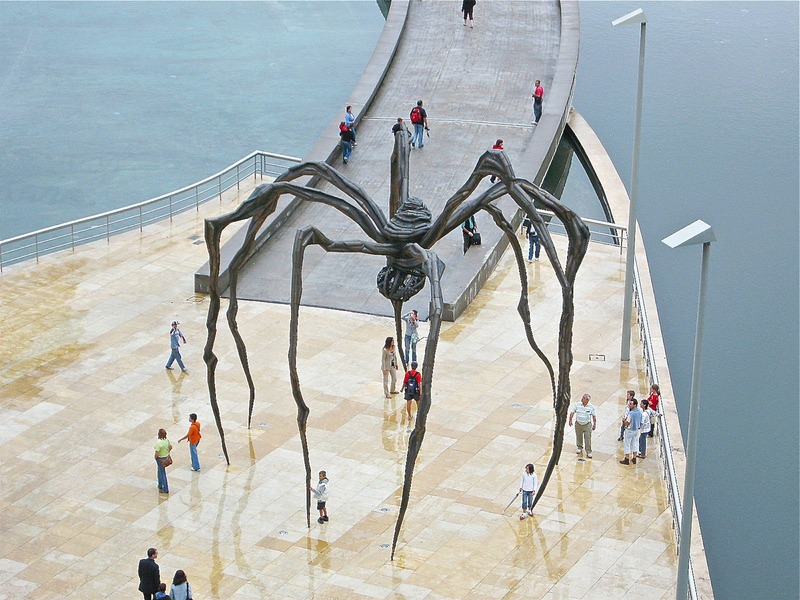 Maman (1999) is a sculpture by the artist Louise Bourgeois. 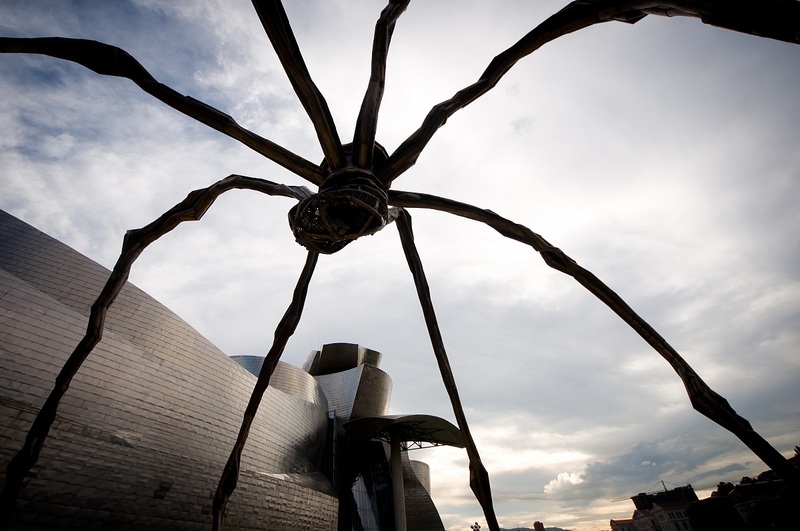 The sculpture, which resembles a spider, is amongst the world’s largest and most impressive, measuring over 30 ft high and over 33 ft wide, with a sac containing 26 marble eggs. Its abdomen and thorax are made up of ribbed bronze. The title is the familiar French word for Mother. The sculpture was created by Bourgeois as a part of her inaugural commission of The Unilever Series in 1999 for Tate Modern’s vast Turbine Hall. 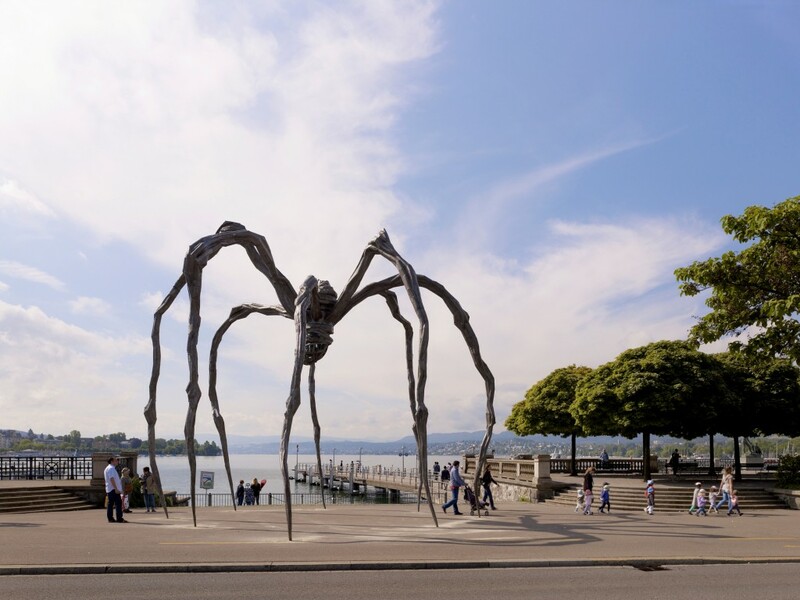 The sculpture picks up the theme of the arachnid that Bourgeois had first contemplated in a small ink and charcoal drawing in 1947.It alludes to the strength of Bourgeois’ mother, with metaphors of spinning, weaving, nurture and protection. Her mother Josephine was a woman who repaired tapestries in her father’s textile restoration workshop in Paris.Bourgeois lost her mother at the age of twenty-one. A few days afterwards, in front of her father who did not seem to take his daughter’s despair seriously, she threw herself into the Bièvre River; he swam to her rescue. The Spider is an ode to my mother. She was my best friend. Like a spider, my mother was a weaver. My family was in the business of tapestry restoration, and my mother was in charge of the workshop. Like spiders, my mother was very clever. Spiders are friendly presences that eat mosquitoes. We know that mosquitoes spread diseases and are therefore unwanted. So, spiders are helpful and protective, just like my mother. 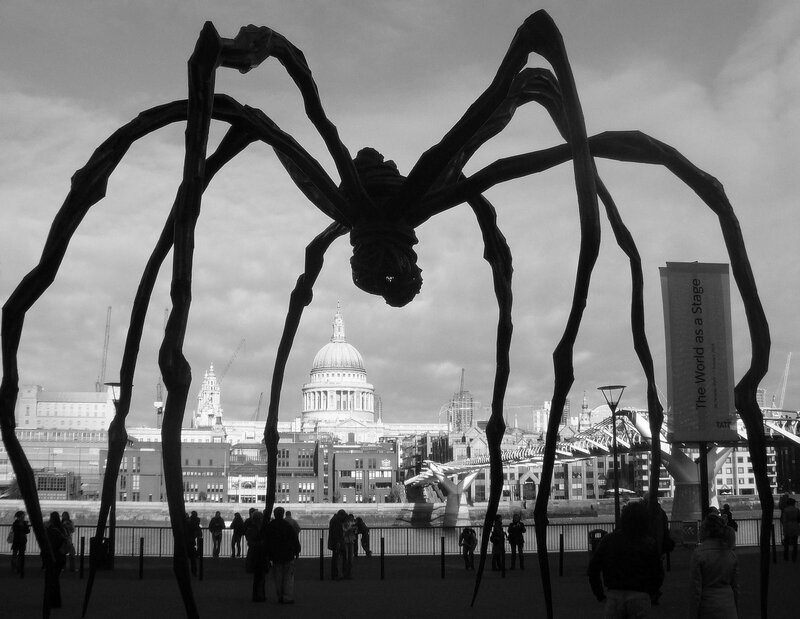 This entry was posted in ART and tagged Louise Bourgeois, Maman. Bookmark the permalink.